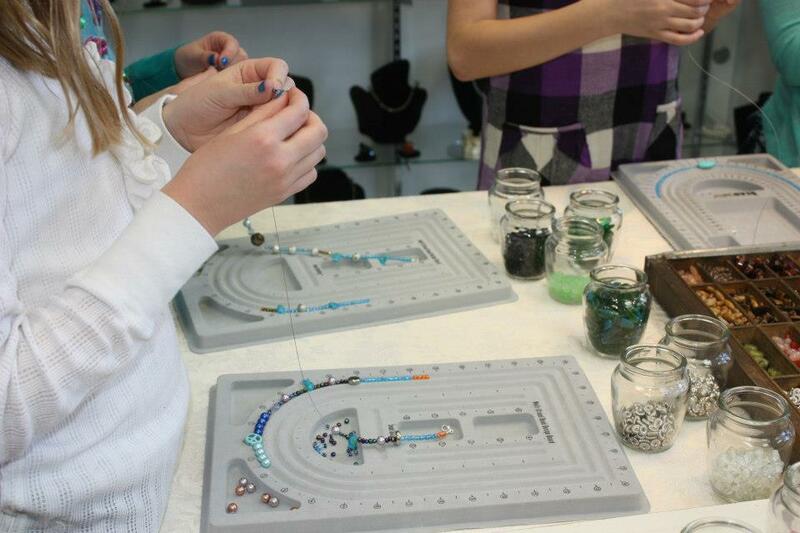 Winner of Best of Westchester for Kids Birthday Parties in 2012 and Reader’s Picks in 2015, No-Stone-Unturned provides a fun and creative jewelry making party for children 5 and older—all in the comfort of your own home. With a selection of over 300 different types of beads of varying colors, textures, shapes and metals, the staff will help your party guests create and walk away with a stylish piece of jewelry. Parties are available weekday evenings and weekends and start at $300 for 8 children (each additional guest costs $25. Cupcake charms $6 extra). I had Lisa and her team from No Stone Unturned for my daughters 6th Birthday Party and they were fabulous! I had 22 little girls who were completely engaged in the process and absolutely loved making their necklaces. They brought tons of beads so the girls had so much to choose from and each made a unique piece. Lisa was easy going, fair and a joy to work with and I recommend them highly for your next event! Thanks again for a beautiful party even in the 90 degree heat!! I was at a Ladies Night with No-Stone-Unturned with several friends and it was a lot of fun! Lisa is extremely patient, very friendly, and was very good at offering aesthetic guidance on our beading projects. We all walked away with a few pieces of custom jewelry we made to our particular styles/tastes. It was a great way to tap into creativity and visit with friends at the same time. 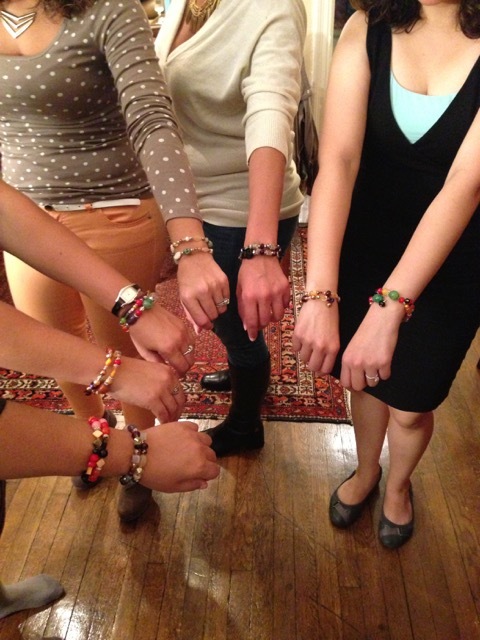 Lisa ran a fabulous beading party for a Ladies Night get together at my home in New Rochelle. After all, why should our kids get to have all the beading fun? She brought over tons of beautiful beads and helped guide us through our creative process to come up with finished products that we all loved and will wear often. Such a memorable and fun night! If you’re tired of the same old dinner/drinks with friends, I highly recommend booking Lisa for an at-home party.